It’s been a very long time since a Spanish band has been able to break free from the isolation of the Iberian Peninsula and become revered across Europe and the Americas. Luckily for Hinds, their sheer onstage exuberance and love for laying down simple three-chord, lo-fi, rock ‘n’ roll has been winning them a legion of new fans every time and everywhere they play a gig. It hasn’t all been easy for these four young women from Madrid though, just as they were beginning to build a reputation as Deers, last year they were forced to change their name by an officious Canadian band with a similar moniker. Fortunately the switch to Hinds came before they appeared at SXSW, Coachella, Glastonbury and embarked on a solid year American and European touring, so nothing was lost. Ana, Carlotta, Ade and Amber released their debut album Leave Me Alone on UK label Lucky Number on January 8th, and it’s been getting a lot of critical acclaim – a 4-star review in The Guardian alone. 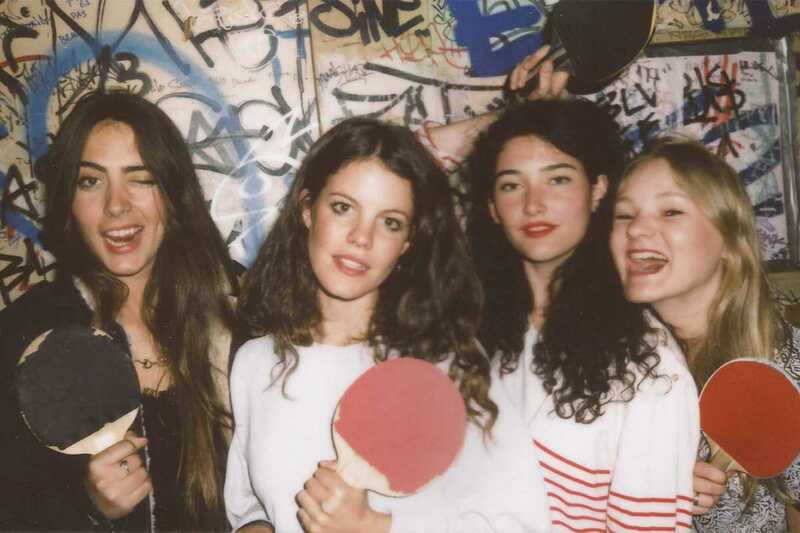 But it’s onstage where Hinds really shine with their ramshackle but charming, garage punk style… you know they’re having the time of their lives up there, and you’ll just want to join in too.